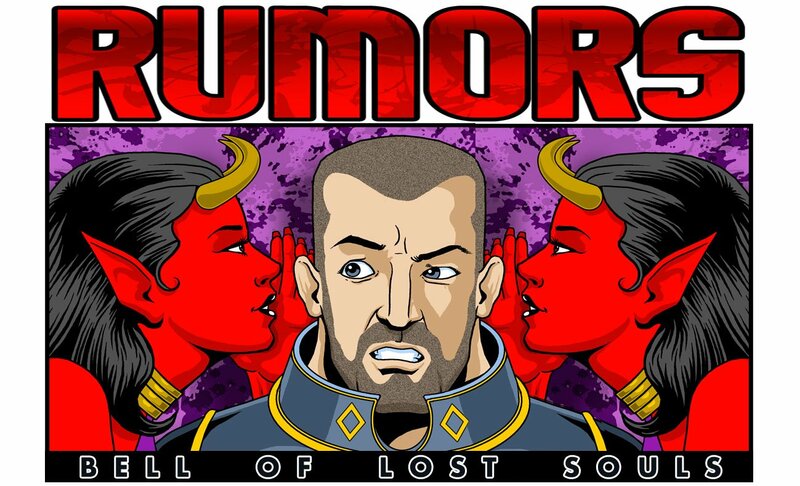 We are super excited about Titanicus and the first set of release rumors has arrived. Get ready for for the biggest tiniest minis coming your way! The Reaver is out and the Warhound was showed off at the NOVA teaser. 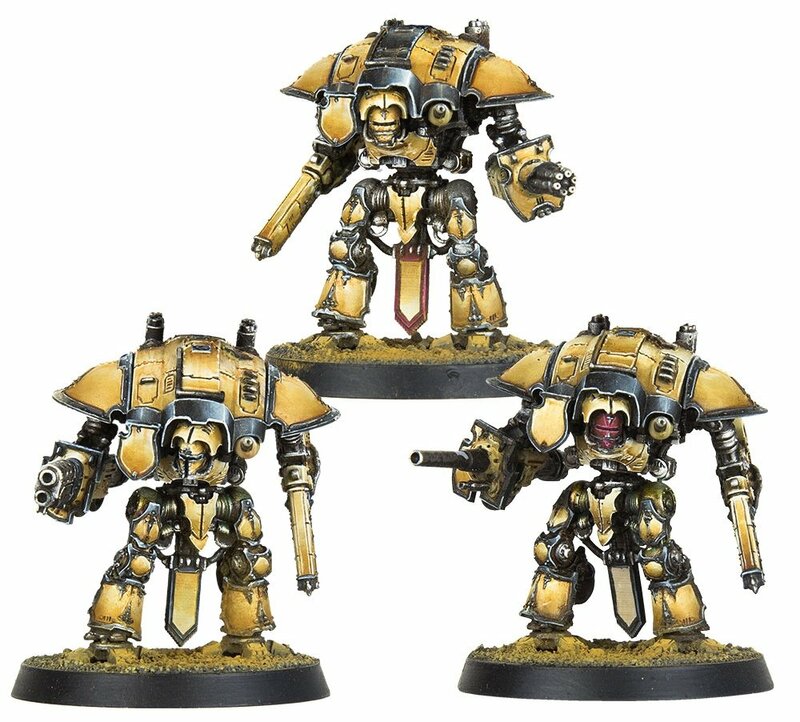 The dogs of war can’t be too long off, and GW will be keen to get out the “core 3” titans that come in the rules. That is a fine range there in both size, and battlefield role. 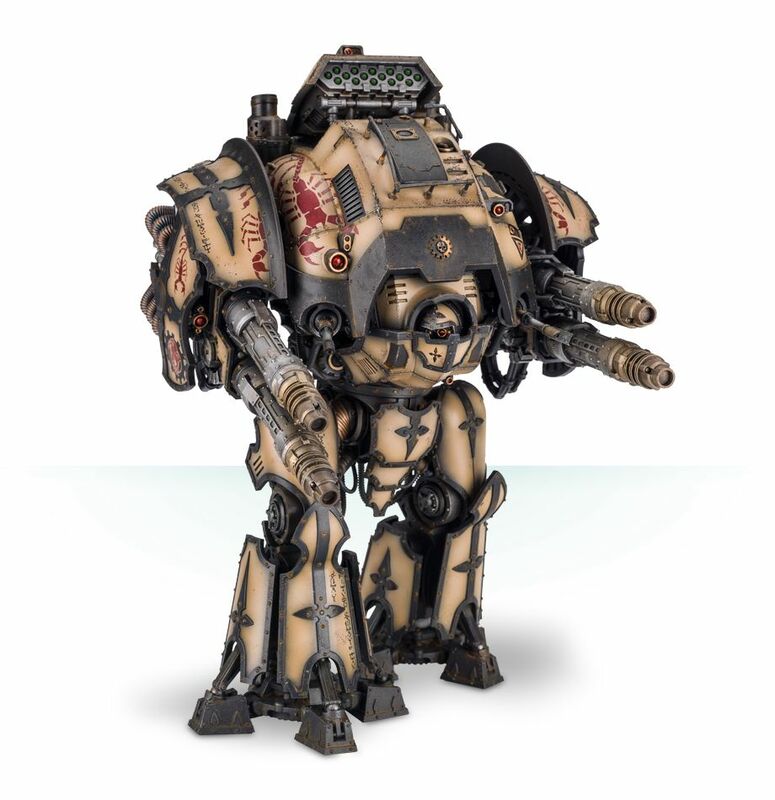 The hulking brute of the Porphyrion would be very interesting, as a “pocket titan” probably almost as armed as a Warhound, yet slower, and cheaper. Both the Dominus and the Cerastus chassis would be slightly larger tougher Knights than the Questoris class, with a variety of battlefield roles from the fast assault Lancer to the slow standoff shooting of the Castellan. The Armigers would be the cutest little guys in the game and I question if they would arrive singly in teensy round bases (like Skaven used to have), or they would appear as a pair per base? In any case, Armigers are about as close to infantry as we would see in the game for a time, unless they throw in robots and dreadnoughts in the future. 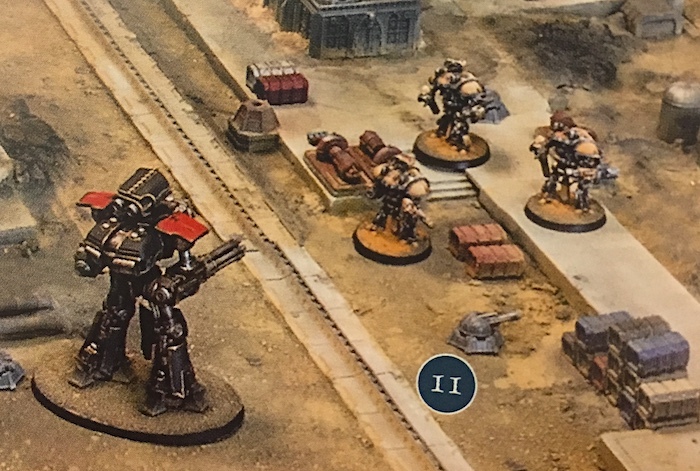 Finally the Weapon Set is no surprise as there are pictures in the Titanicus rulebook of Knight models with the top missile pod. Throwing in some other knight weapons for variety will allow hobbyists can built unusual loadouts like the Errant and the all gun models. Left two knights have missile launchers. The big thing this will do is open up an entire tactical “sub-game” happening below the titan level. Knights will have a more potent battlefield role and won’t be just screens or suicide chargers. Things like Knight Lancers if fast enough could be super effective at getting in behind the big boys and taking them down. Conversely while “only a Knight” a handful of Porphyrions and Castellans could project enough firepower to command the respect of titan Princeps.